East Restaurant is a floating Pan Asian Restaurant located on the Upper Deck at Charters Bar. East"s team of Authentic Thai chefs create a fusion of Oriental style using only the finest and freshest ingredients. The dishes have been carefully chosen from the exciting and diverse cultures of South-East Asia. My wife is Thai and we visit many thai restuarants around the UK. This promised to be one of most interesting being on a boat..BUT possibly the biggest let down ever ...only the top section of the boat is the restuarant the bottom section is a pub and had a band playing loud rock music!! We could have forgiven that if the food made up for it ..but it didnt! The food was bland , had no taste , took a long time and was only luke warm when it arrived....wont be going back. 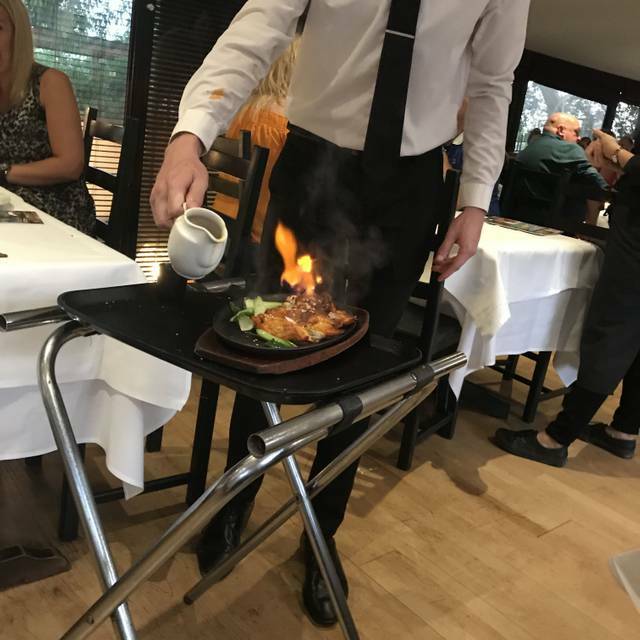 Booking was easy, service was good, waiters and waitresses very polite and attentive, food was excellent and didn’t have to wait long between courses. 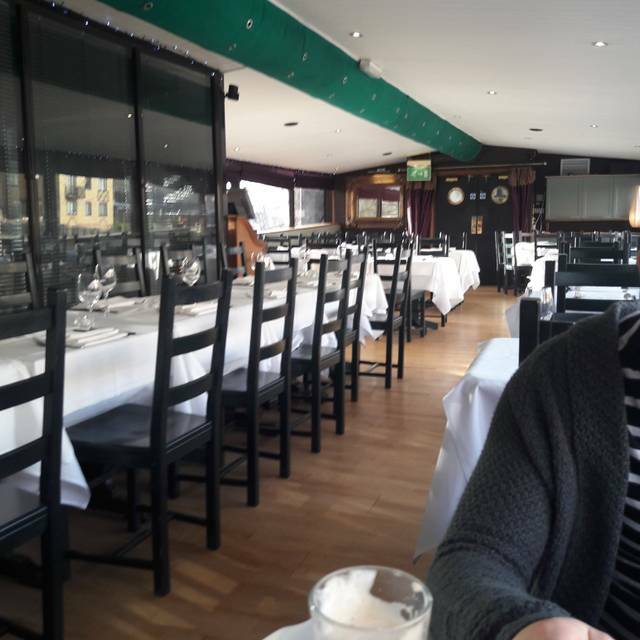 Lovely location on a barge, great food and service. Had the set lunch menu which was good value. The servers are friendly and efficient. Another very good meal. Service was excellent despite how busy it was. Food excellent. Prices acceptable. Very enjoyable. Thank you. Excellent service and quite a unique location overlooking the river. For those wanting something different afterwards, Charters below offers a wide range of craft beers. First time here. Came highly recommended. Lived up to its excellent reputation. We will be back. Found menu to be expensive for what we had, four eating on a set menu had one small bowl of rice to share, prawn crackers on the table at arrival were charged at £4 with maybe half a portion in the container and drinks were also over priced at £5 a pint ! The food was very good, as well as most of the experience. Only issue was waiting a while for the bill and having to ask a second time for this to be given. Food is always amazing, my favourite place to eat. Not much chair space in between tables makes it difficult to get in & out. Otherwise, very nice!! Gorgeous food with superb hospitality. Parking available . Spacious seating areas. We had a set menu. The food was very good and there's was plenty to eat. Food was very good, good selection with dishes that were varied for different tastes. Starters were a little large for us but the main course portions were just right. Lovely venue - quite a surprise find! Delightful service and delicious food. My sons birthday choice as East is his favourite eatery. The food is always full of flavour and the location being on the river makes it lovely, especially in the evening. We arrived by boat to be greeted by the bar staff from charters very helpful . Staff in the restaurant was great friendly not pushy not rushed to start the next course excellent, food was amazing and lots of it. I will be going again very shortly. Great meal see you soon. Everything was great, the only thing that threw us slightly is the sweet and sour, it's not your regular dish it's really hot really spicy and not at all sweet. Other than that we had a lovely meal, lots of choice, tasty food, great staff, atmosphere and would return. Excellent service by all staff. Food was amazing and very reasonable value. Have already recommended to friends. Our 2nd visit to this restaurant but not our last. Thank you. Loverly setting, food is excellent for the price and a great selection. Always good as is the service. I would recommend East to anyone. Easy to order food and drink. We had a set menu. Great value and well presented. Nice atmosphere and good service. Excellent Sunday lunch buffet. Hot, fresh food and a lovely atmosphere overlooking the River Nene. Amazing as always, had to wait a while to get our drinks but the food is exceptional and the service is v good. Well worth the cost for such a unique experience. I can't review much other than the Singapore chicken curry as I have that every time as I love it! Service is always great. Drinks are expensive but I'm often driving so stick to water. Lovely food and great service, but it’s quite small inside and it gets very noisy specially if there’s a band on downstairs. Great meal - the Oriental Platter starter was fantastic, and the Thai Green Chicken Curry was excellent. Room was slightly cold, something they are aware of, given signs asking people to close doors. All in all, a great meal.